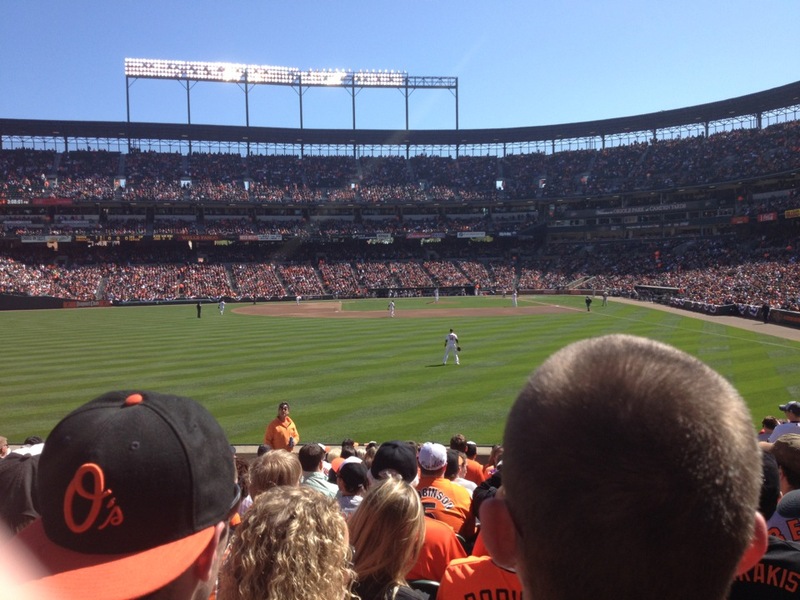 I recently went to an Orioles Game at Camden Yards, as I do so much every year. But for this game, instead of focusing on the score and statistics, I focused on the public relations strategies that Orioles PR Relations Professionals used. I believe the absolute best public relations strategy that the Orioles PR team uses is the promotion of special events. Throughout the entire baseball season, every year, the Orioles have at least 10 different promotional/ special events hosted at the games! I went to the game where I received a 2013 schedule and a car magnet, which I go to this specific game every year for this. They give out promotional schedules and have banners and signs put up all throughout the entire stadium promoting different special events for that month! They get your attention with free merchandise or special autographs, or events like post-game fire works. Sometimes, they get fans attention by lowered ticket prices. All of these promotions are a lot more likely to gain more fans to those specific games. I think this is a very successful strategy to gain more fans attending the games because it gives fans a chance to receive something or do something they would not normally have the chance to do. And it is still successful for fans like me, who go to any game, any time of the season, just to watch them play. We are more likely to also participate in those special events in the hopes for something new. Since I was 9 years old, every season, my father would take me to at least one promotional “Bobble-Head” night, and I have had a collection of them since. So, I know by personal experience how successful they are because I have participated in them for a long time now. I believe they also use propaganda, especially on the Jumbo-Tron set. 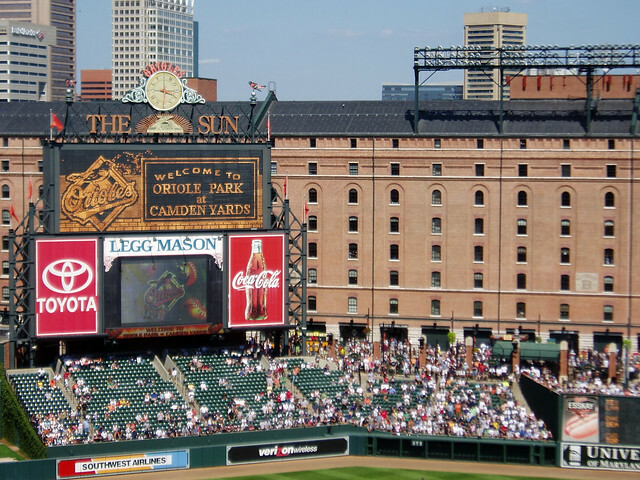 Before, during, and after the games the Jumbo-Tron continually advertises different events for the Orioles happening at Camden Yards or variously places around Maryland. This Jumbo-Tron also advertises products sold at the stadium and promotes trips to the Spring Training facility down in Sarasota, Florida. The Jumbo-Tron is also very successful because it is so big that everyone in the stadium can see it at all times. It can sometimes be a form of intrusive advertising, but it never disrupts the game, only between innings. And since patrons do not have much else to do in between innings, why not look at the Jumbo-Tron and see what it has to promote to the entire audience? Also, after the games the Jumbo-Tron will state see you next time, where to get your next tickets, and their slogan “See you at the Yard!” and any other relevant slogans. This of course, is so people can return for more games, buying more tickets and merchandise, further helping the Baltimore Orioles franchise. And they, like most other major league teams, are very successful in keeping their fans coming back! Last December I saw the movie: Looper. Originally, my only interest was seeing the movie for Joseph Gordon-Levitt, although, I was not surprised by the twist in the plot- or by the film’s product placement. Every character in this movie had some type of Mazda and Pepsi products were sold in all places. Seeing as how this movie was set in 2044 it seems that these two products are products of the future. In the year 2044, Joe is working for a group called Loopers. These Loopers work for the mob and kill people for them that they send back in time from the year 2074. Joe recognizes his self at one of these killings and hesitates so his older self runs free. 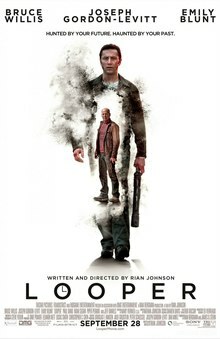 The movie is a chase of older Joe running from the current Loopers, who are trying to kill him, looking for a man called the Rainmaker- trying to kill him before this man kills Joe’s wife in the future year of 2074. Younger Joe is reluctant to help his older self because the mob could turn and kill him too. In this high action movie, I believe the viewers noticed all the fast little Mazda’s driving around the most. How can the audience forget the action packed scenes with such nice cars? I believe seeing the actor’s drive around in a certain type car in a movie that is set in the future is definitely attractive to viewers. These consumers can then believe and be more persuaded to buy some type of Mazda in the near future. I also believe that Pepsi did great advertising for the advertisers and producers. Seeing the Pepsi logo, along with their products, on this movie set makes the viewers not only want to drink Pepsi now, but they will also be more likely to drink it, over Coke in the future. Also, if Joseph Gordon-Levitt, as the movie character, admitted he preferred Pepsi as his choice of soft drink, I would definitely, in turn, prefer Pepsi to Coke. Just because he said he preferred it and I am a big fan of his. The advertisers of these two companies wanted to put their products in a movie like this because they knew it would have a lot of views. With a director like Rian Johnson and major actors like Gordon-Levitt and Bruce Willis, it was destined to sell! So, if a lot of people are projected to view a movie of course advertisers want their product in the movie for all those consumers to see! Also, on the movie producers side, perhaps they believed with many Mazda and Pepsi enthusiasts out there, maybe with those two products in the movie those enthusiasts would now be more likely to go see the movie! 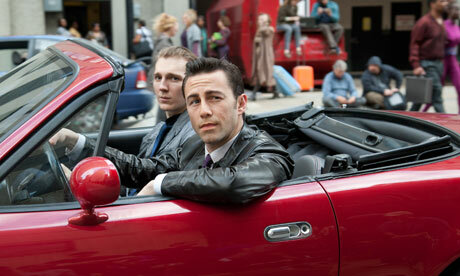 So, with the product placement in the movie Looper it is a win- win for the movie producers, advertisers, and viewers alike. When I was 13 years old I bought a book from my little brothers book fair at his elementary school. It caught my attention from the shelf because the cover picture had the top of a mountain on it. At the time, I did not know what mountain, nor what it would be about. After reading the back cover I found out the story was about a 14-year-old boy going to climb Mt. Everest. Although, I had never been climbing, let alone on any type of mountain, I was really interested in reading this novel. Peak is a fiction novel written as if the story was being told through the main character’s moleskin journal. Through his journal he tells his reader of the time he traveled to Asia with his father, unknowingly to climb, and ends up telling an exciting story as he made his journey up the mountain. To my surprise, this book had a huge impact on my life since then. After reading I became very interested in mountain climbing, Mt. Everest, and the country and culture of Nepal. Ever since finishing that book I have made it a goal of mine to make it to Kathmandu. Also after reading, I remember telling everyone in my family and my friends about all the facts I learned from the book. The author not only told a story, but gave straight facts about mountain climbing and Mt. Everest itself. I think this is why the story held so much interest to me. And still to this day, I enjoy shows on the Travel and Discovery channels and books about Nepal. This book did not just give me a lifetime goal, but also taught me the classic lesson of life not being all about the peak or summit of a mountain but the climb to it. Peak’s (main character) story inspired me to do everything I can, even if I believe it to be impossible, to reach my goal. And one of my goals that have come from reading this book is to travel the world- which is now one of the biggest components of my life. My goal of traveling the world is what I live for! I think this book had such a positive and huge impact on me because it is different from other books that I was reading at that age. It was the first book that really taught me about climbing and another culture. Doing so, I learned to appreciate other cultures and their differences. Today, I like to read not just fiction stories but informative, non-fiction books about different countries and cultures around the world. Although, I have no interest in climbing any other mountain in the world, I do still hope that one day, I will be able to see every mountain and all other beautiful places on every continent that I get to travel to.